Two weeks ago, Blizzard launched the 4th season of Diablo 3: Reaper of Souls, along with patch 2.3. I, like many others created a new character to start fresh and compete with one another and with groups to reach the top of the leaderboards. Patch 2.3 to be clear, doesn’t require seasonal play to experience, so why bother? You could play it with your well geared, leveled up characters and just go breezing through Torment X greater rifts like they are nothing. For the record Toment X does the following to the monsters stats: (200082% Health, 10194%Damage) I create a new character every season because it’s something to do! I’ve now played 19+ hours on my new crusader, my 3rd or 4th at this point and will continue to play. Diablo is at this point just a way for me to waste time on my off hours, and seasonal play helps. After playing the last 3 seasons, it has got me thinking what other games could benefit from having a seasonal option. The games would start you out fresh and you would build yourself up from scratch. At this point in my thinking, I’ve only come up with a couple of games that might benefit from this to generate a balanced competitive environment. League of Legends is the first thing that came to mind when brainstorming. League of Legends as competitive as it is already, would be interesting to watch if everyone started off at level 1, and could only play ranked games. First off, some things would have to be set in place first. For those who don’t know, when you start playing League, you are given a small amount of RP to purchase your first champion. You also have access to the free champion rotation. For a well balanced meta at the beginning of the season, several champions would have to be available to all users from the very beginning. The champion rotation can stay, since it’s on a weekly basis, it would shake up the meta week to week. Like Diablo, the leaderboards would be separated into several categories. You would have your individual records (W/L, KDR etc. ), mode records (normal, 3v3, ARAM) and team records. At the end of the season, maybe a tournament for the highest ranking teams for a nominal prize? The only difficult thing I’ve had trouble concocting was the length of time to which the season would last. 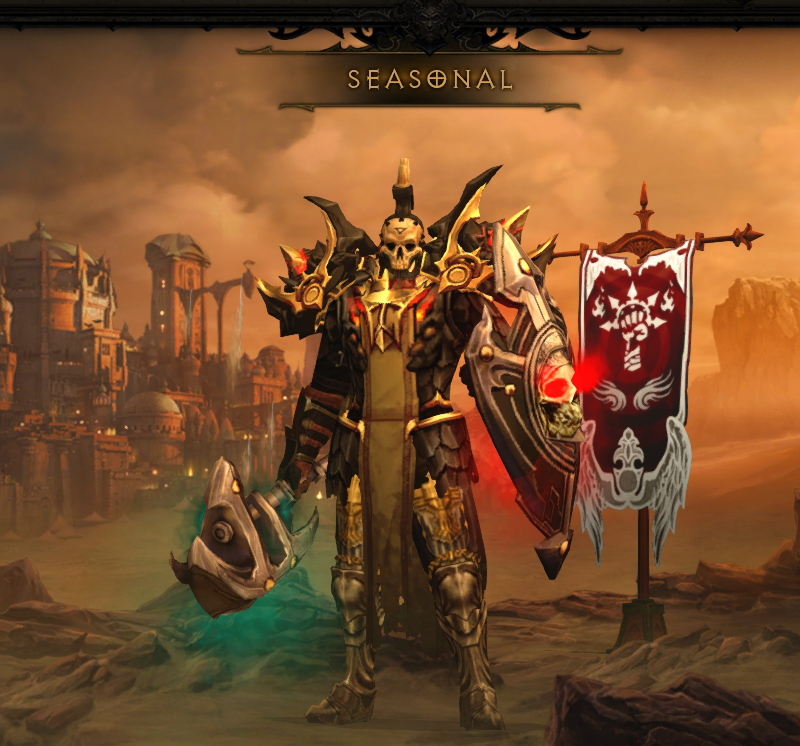 The seasons for Diablo 3 last for a few months, Season 3lasting for 5 & 1/2 months. I feel like League of Legends could do that. Have a small break between the seasons. Destiny would be a prime example of a game where a seasonal mode would work on consoles. It would be competitive in two aspects. You would have the Crucible for those who are PvP-minded, and maybe time attacks for raids and strikes for the PvE people. The game shares many things in common with Diablo with a level system that’s firm until a certain level then static after that. Diablo has a lvl cap of 70, but follows that up with Paragon levels. Destiny has the lvl cap of 20, then uses “light” to go beyond that. To ensure the length of a season, strike and crucible rewards would have to be reworked to create something to work toward. No more straight item drops from crucible matches and strikes. Only reputation and marks to purchase weapons of your choice. There are many other games that could benefit from having a seasonal option. It gives players a chance to start fresh without risking their other characters and offers a challenge that normal play cannot give. What are your thoughts on seasons in general? Do you guys have any ideas on games that could use a seasonal structure? What are your thoughts on the seasonal options that I have theorized?